There is a one time cleaning fee of $135 per stay. There is a one time cleaning fee of $125 per stay. 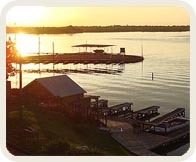 Please feel free to contact us if you have any questions about our property, or the Lake LBJ area in general. If we don't know the answers, we'll find them! Whether or not you stay with us, we want you to visit Lake LBJ and the Texas Hill Country, and enjoy your well deserved vacation!